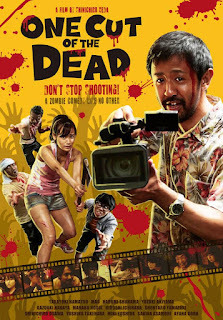 A below average director is chosen because of his "make do" attitude toward film making by a new channel specializing in zombie movies to shoot and direct their first show. 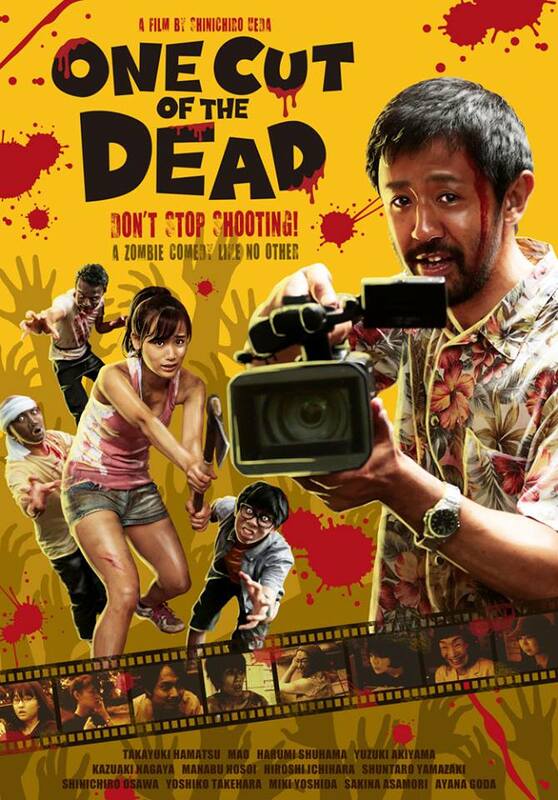 A live, one shot zombie movie featuring a couple of Japan's fresh faced and inexperienced actors. Wanting to prove himself to his daughter he goes up against several major hiccups when filming but can he finally pull it off and redeem himself in the eyes of those he most cares about? The movie is broken up into three parts, the first part being the finished product as the viewer would see it. Then it goes back over it and breaks it all down so you're seeing the whole process. This is funny from the start but ramps up to hilarious once it really gets going, it also has a very touching emotional element to it at the end which really finishes it off nicely . I have to point out that this movie does indeed feature zombies but I wouldn't exactly say this was a zombie movie persay, if that makes any sense? It's one of those movies that is hard to review without letting slip a few spoilers so I apologise for not going into too much detail. The acting is fantastic from all involved but massive kudos need to go to Takayuki Hamatsu as the director and Harumi Shuhama as Nao who are absolutely fantastic. There are some great ideas here that mimick typical horror tropes to hilarious effect. Some great use of hand held cameras, low budget props, practical effects and soundtrack. As with many Japanese movies this holds your attention throughout, you never know what to expect but you just know it's going to be good. Really would love to get my hands on this - thanks to Robbie Collin - huge fan!